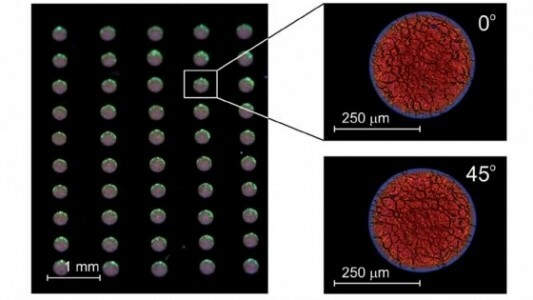 A way of printing lasers using everyday inkjet technology has been created by scientists. The development has a wide range of possible applications, ranging from biomedical testing to laser arrays for displays. A laser is a characteristically “pure” form of light, occupying a very narrow wavelength range, or colour. Laser devices are already ubiquitous in modern life; they are used to read data from Blu-Ray discs and deliver high-speed internet around the world, for example. In science and technology, lasers are similarly versatile – being employed for a wide range of purposes such as medical treatment and testing, or space-based remote sensing.